1. 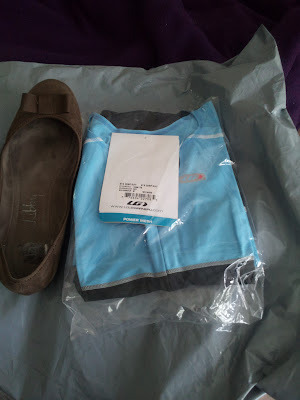 My tri suit arrived yesterday and it was too small, just as Amanda predicted. It fit everywhere except the legs. There are bands on the legs to prevent it from riding up on while cycling. But on my chubby legs, it just created very unattractive rolls that I imagine would create chafing, which is not hot. The tri suit is so tiny! 2. I started building my square foot garden over the weekend. I have it built and about half full of soil, which has been surprisingly expensive. I don't know where the phrase "dirt cheap" comes from, but I've already spent $50 filling this thing with dirt and I'm not done yet. I better have some fantastic tomatoes at the end of this. 3. 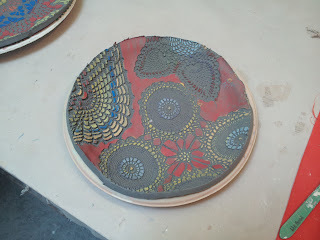 Alissa and I went to a pottery class on Sunday to make a lace plate. It was a lot of fun, until the class was almost over and I dropped my plate. The teacher mentioned that clay has a memory and if we torque the plate, the bend will be exaggerated in the kiln. I'm interested to see in two weeks what this train wreck looks like. Your tomatoes are going to be rocking, Kel. Rockin, I predict! Oh my god, tri shorts/suits are possibly the least flattering thing imagineable. I bought a pair of tri-shorts in my usual size and they make me look like the Michelin Man! Is it easy to return the suit? I think dirt is uber expensive too! 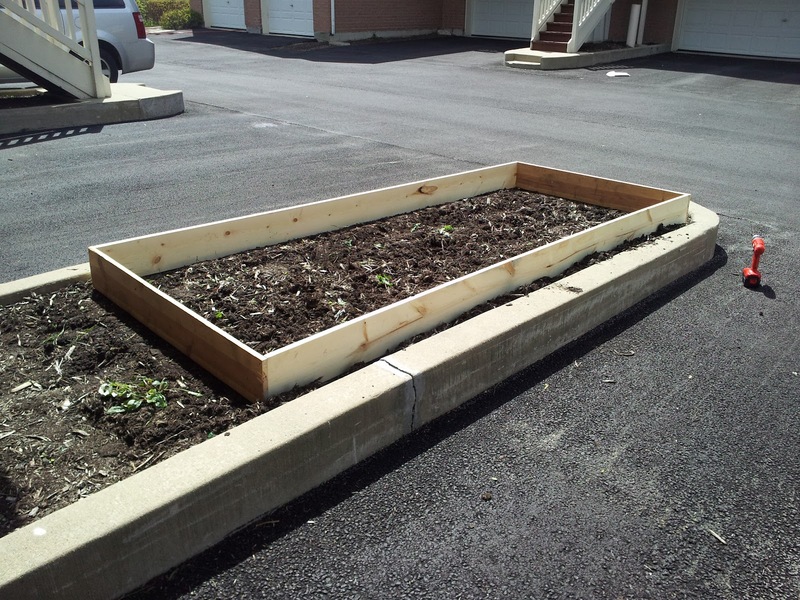 I can't wait to hear how things go with your garden! We would love to have one at home, but it's forbidden. LOL. We tried a community garden but it didn't work so well.